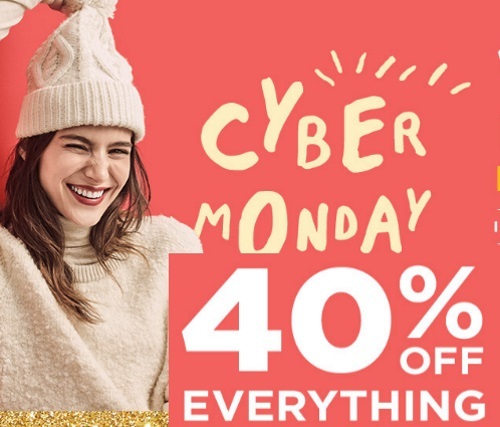 Gap's Cyber Monday sale is already here! Save 40% off everything with no exclusions! Enter the promo code GAPCYBMON at checkout. Offer is valid November 27-28, 2016. Also online only save an extra 10% off with the promo cod GAPEXTRA (offers combinable at checkout).